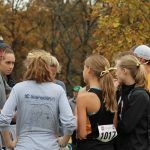 Girls Varsity Cross Country · Oct 14 Varsity Girls win JCAA Conference Championship. 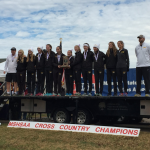 Festus boys and girls cross country head coach Bryant Wright was recently named Coach-of-the-Year by two different organizations. Wright was given the top honor by KTJJ Radio during Dream Team ceremonies. He was also honored by the Missouri Track & Cross Country Coaches Association.